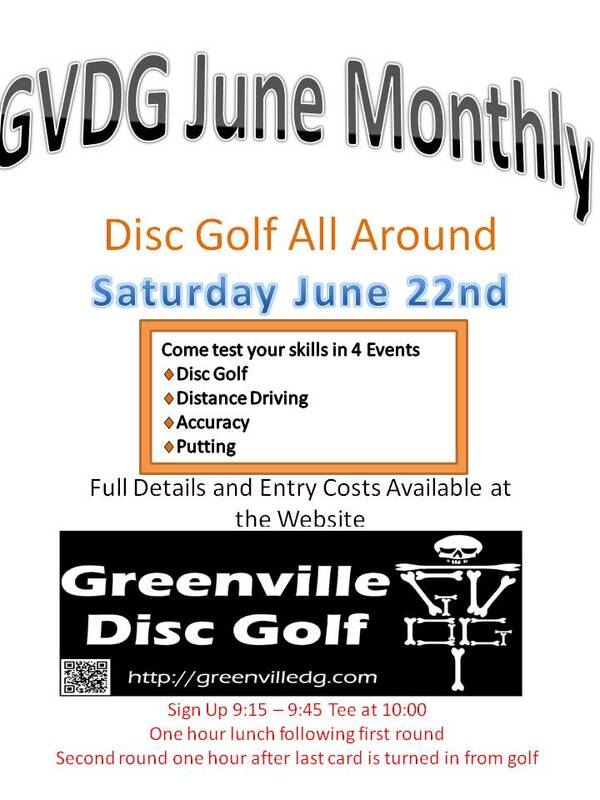 The December GVDG Monthly was held on Dec 28. It was a special format of Pygmyman's Backwards Golf, where we played the course backwards (1 teepad to B basket, B teepad to 18 basket, 18 teepad to 17 basket, etc.) Todd did a great job of getting added sponsorship with $200 added to the acepool and extra prizes for anyone who aced. 20 people competed. There were a total of 14 aces with Todd and Sean Gough both leading with 3. Each ace paid $21. Todd played in the non-competitive division. GVDG Club Meeting. January 8 @ 8PM. 1800 N Greene St. The location is the board room of Adam Baker's office. Please post any agenda items or talk to an office to add an item. Follow this link for the up to date list of GVDG club members for 2013-14. 1-Financial report- Kurt Hodnett- Current bank balance $1390, only outstanding bills are the DEPC boat to Innova. 2-2014 Ice Bowl merch- We will be ordering 10 long sleeve shirts, 5 Large, 5 XL(let Max know if you would like a different size), and 30 DX Roc3's. The first 40 IceBowl participants will get a shirt or disc anyone after that will get a $10 store credit. 3-Hole 10 Sign- Todd Markov - Tabled till January as Todd was not present. 4-Monthlies - Daniel Coward - Final review of 2014 calendar, will be posted ASAP in area businesses and courses. David Guy - Provided additional info on his January monthly, second round will be a random draw for the disc you will be playing with. 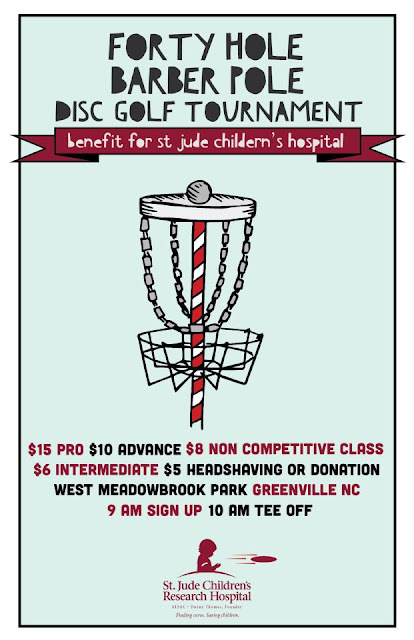 Lunch will be available on site and those who purchase lunch will get their disc earlier to practice with it before second round. 5-GVDG Doubles Ace Pool - Max Crotts - Proposed a change for the Blue Lew Doubles ace pool starting in 2014. To speed up awards ceremony and to provide a little carry over to the following doubles acepool the monies collected from that days ace pool will be held over to the next event and only previous collected ace pool monies will be paid out. Motion seconded, Vote: 6 for, 0 against. 6-Hoodies and club shirts- David Guy - Guy is collecting orders for GVDG bones logo hoodies, to meet a minimum order GVDG will also order 20 black long sleeve shirts that will be available for new/renewing club members or for purchase at $18. Motion seconded, Vote: 6 for, 0 against. 7-Grass cutting fund-Leanne- Leanne was unable to attend so the motion is tabled until January. In that time Max will contact Recs and Parks to see if there have been any changes in the mowing plans for 2014. 8-DEPC Presentations- Max Crotts (w/Adam Baker and Scotty Faison) had the only presentation. Max's plan was seconded to be the direction for the 2014 DEPC. Vote: 6 for, 0 against. Description of presentation to follow separately. 9-Meeting venue- Adam Baker - Adam proposed a change in club meeting venues to only locations conducive to conversation and providing minimal interruptions. (No more main floors of restaurants, only closed halls, houses, or meeting rooms) Motion seconded. Vote: 7 for, 0 against. 10-January meeting location - Daniel Coward- The conference space at Adam Bakers office was offered for a meeting venue, all agreed. Address coming later. 11-Officer duties and sub committees-Adam Baker- To hopefully promote more club members to participate in club matters Adam inquired if we would like to look into modifying our club bylaws to explicitly state officer duties and establish sub committees to address issues. Everyone present was very receptive to the ideas and Adam will prepare a presentation for a future club meeting. This Saturday(11/30) join Daniel Brockman II and GVDG for our November monthly. Signup at the Meadow before 9:45. Two rounds of golf with an hour lunch break in between. Entry: Pro-$15, Adv $10, Am $8, Non competitive $8. Optional $2 ace pool(Currently $25+). David Guy is getting together an order of hoodies with the GVDG bones logo on it. Please contact him if interested. "Black with white skull and crossbones and Grey with black skull and crossbones.The cost is 30 a piece. im ordering them monday. btw this is not a loan to the club. It is a pay prior type deal. I will not track u down for your money.if I don't have it by Monday you'll have to wait till the next order??????? 2523617535 -Guy"
The November meeting of Greenville Disc Golf will be at Big Bubbas Burgers in Winterville by Pitt Community College. It will be at 7:00 p.m. on Wednesday November 13th. If anyone is interested in running a tournament in 2014 please attend this meeting and have a date in mind for your tournament as we will be setting the events calendar for the whole year. David Guy will be running pre Players Cup dubs Friday sign up 4 - 4:45 round starts at 5pm $5 to play. Come out and make some cash before the DEPC and have some fun too. - Financial: The club is still doing well all debts with Innova are settled last orders are paid leaving us a little over $500.00 in the regular club account. The DEPC account is building with new hole sponsors but we can always use more. Tournaments: the next monthly has been set for September 28th a final format will be announced this week and a TD will be selected. A vote was passed unanimously to set the tournament calendar for 2014 at the November meeting so that a single flyer with the entire year’s tournaments can be made. This should help people clear their schedules to make the events and help increase turnout. If anyone is interested in claiming a TD spot for next year please plan to attend the Nov. meeting to inform us. 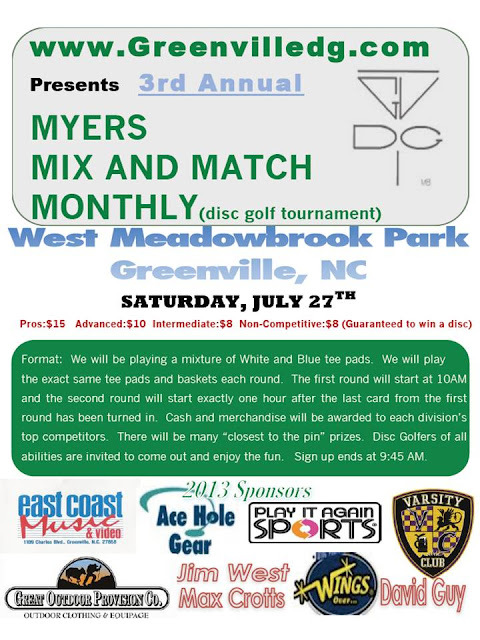 Finally the club will be holding it’s first ever Discraft Ace Race in 2014. Daniel C will be TD for this event planning to be run in September more details to come. Course Maintenance: A work day is scheduled for September 8th to replace the walk way to 9 blue with a more even brick path and level out the blue tee pad. A plan is now in place to put a permanent OB line around the woods extending from #3 to #6 Jake Starr Max and Daniel C are researching the cost of the project but to expedite the project a $150.00 budget was voted through at the meeting. Covenant: As we well know Covenant Church has a disc golf course on their property that they keep improving on and they are now at the stage of adding concrete tee pads. In an effort to help them do so and to improve relations GVDG will be offering the church our help in either pouring a pad for them, building a few benches, or running a fundraising tournament on their behalf. David Guy is leading the way on this and speaking with members of the church to see if they would be interested. New Merchandise: The club has voted to allow new merch at the store! Allen Foster has set up accounts with Dynamic, Latitude 64, and Gateway to bring in new discs and other merchandise so if any of these companies peak your interest let us know what molds and plastics you want to see in the store we will do our best to honor your requests. Beyond that the options are open to you. Any such proposal should be ready to present at the January meeting. If the proposal is voted in at the January meeting it will be brought as a club wide vote in February to pass or reject the changes for a one year trial for the 2014 club year. Elections would then be carried out in May as usual and in January 2015 the new system will be reviewed to see how successful it was and if it is deemed acceptable it will be written into the club bylaws. For more information contact the club secretary through the club email gvdgsecretary@gmail.com. Next meeting will be at Big Bubbas Burgers in Winterville on September 11th at 7pm hope to see you there. The first 40 spots for the Down East Players Cup are gone!!!! Have you signed up yet? DOWN EAST PLAYER CUP!!!!!!! SIGN UP!!!!!!!! Sign up opens this Thursday August 1st at 7p.m. for the first 60 spots on Disc Golf United. We are reserving 20 spots so everyone can still come out to Thursday doubles and not have to worry about missing registration. The final 20 spots will open that night at 9p.m. After those 80 spots are filled a waiting list will be made available but really who wants to be wait listed so sign up quick. When signing up remember to know what size and color you want for your shirt and what you want embroidered on the sleeve (limit 10 characters). For more info and tournament layout check the DEPC page on this site. We met at The Coffee Shack in Winterville with a good turnout of 9 members. Our finances are solid with no outstanding debts, we want to improve on this with a new campaign to get sponsors for the alternate pins where the sponsor would have their name on the band of the basket for $200. A new membership option will become available starting next year; we will be offering lifetime memberships with special perks one of which will be a personalized bag tag with your name and the year you joined for life engraved on it. The club will be putting in a new disc order very soon so send us your requests and we will see what we can do. In addition to the regular order we are placing our CFR order for the DEPC. Yes it is drawing close to that time of year for the players cup we have our first hole sponsor now we want 19 more so If you or anyone you know want to sponsor a hole or just donate contact an officer. In addition to money any discs you would like to donate as CTP prizes can be dropped off at any GVDG event or contact Max. Remember to be ready on August 1st to register for DEPC with only 80 Spots Available its going to fill fast. The club needs you input on exploring new options in discs Allen is checking into getting a deal with MVP Disc Sports let us know what you think. A workday is on the books for July 28th both before and after Baggers so come out and pitch in. Don't forget that Myers' Mix N' Match is on July 27th it going to be even better this year than last. Also check out New Bern doing the Craven Chains Classic in September. Our next meeting will be at University Chop House on August 14th. Pygmy Man softball in the morning sign in at 9:30 the game is always fun. The Pumblers are trying to defend their win from last year so come out and play. After the game we will have regular Thursday doubles from the blues. Max says we can be done in time to catch the fireworks don't miss it. Don't forget July 1-14 the deal of the year membership is only $15. New members receive a shirt and DX disc of choice renewing members can pick either the shirt or disc. The rest of the year it costs you twenty dollars there is no better time to sign up! We had our June meeting at University Chophouse, food was awesome (big thanks to T.J. and Nick for chefing it up for us) and we discussed some old business. First and foremost Myers Mix N' Match has been changed to Saturday July 27th. we also started some talks about having sponsors logos on the bands of the alt baskets to aid in the funding so we can get them out sooner. We also went over some of the lay out for the Mystery Tour Fund Raiser tournament that will be held in the first week of august. For those not familiar with the mystery tour format think of it as an urban object golf tournament in a few locations around town look for some more details for Max in the near future. Next meeting is scheduled to be at The Coffee Shack in Winterville July 10th @7. Kinston Disc Golf Association is hosting a doubles round at Barnett Park Friday May 24th (tomorrow) @ 5:30ish cash to play cash for pay I believe. Ace pool got doubled down the team of Goo and Alex L each taking a piece of the cash. Goo hit 10 and drained the quarter jar and Alex finished off the round with an ace on 17. Congratulations to the winners and thanks to everyone for coming out. Also a big thanks to everyone who put up CTPs. O' Cool's at 7 come have a drink. We have an estimated tally for the amount raised for St Judes Children's Research Hospital. The 3rd Annual May Member Appreciation Monthly is this weekend....starting tonight! Memberships are $15 on the day of the event! Guy and Kurt ran unopposed. Mills got 12 vote Max got 17. Will received 7 votes Daniel 23. Thanks to Mills for presiding over one of the best years in GVDG history and bringing the club into its next year. Good luck to the New Prez Max and continued success to the returning officers. Remember all officers are available through their GVDG emails listed on the web. Come out and vote on your GVDG officers for the next year!!! Special Update: absentee voting can be conducted through email. If you can not make it out to vote today email in your votes to gvdgsecretary@gmail.com be sure to include your name. In the event that weather prohibits us from running doubles today the vote will be postponed to next Monday. Nominations for club officers will be held Monday April 22nd and Thursday April 25th so nominate your picks to run the club through 2013. The vote will be the following Monday April 29th, only current members may vote so join up now. Summer doubles officially started Monday April 1st. We had a great turn out for the first doubles of the regular season and want to keep up the good turn out so join us every Monday and Thursday at The Meadow for some doubles action. Unofficial Doubles has begun! We had 7 teams to start it off keep showing up we still have tons of plastic to win. Unofficial doubles will be from the short pads on Monday and Thursday until April 1st, then we will begin with the regular doubles format as part of the doubles point series. Max does not have all the mandos set in stone yet so if you have a good mando idea post it here. Also if there are any mandos you don't want to see return this year let us know. I know is been a while and its kind of awkward with the construction still going on but we need to have another workday. This is just a basic trash pick up day no difficult labor so bring a trash bag and some gloves pick you favorite hole and clean it up. Peasants tonight at 7pm 5th street downtown Greenville. The 2013 Monthly Points Series page on this website is now up-to-date with the spreadsheet! Charity: Pitt County NCSSA Food Bank - all money and food stays in Pitt County! Chili Cookers Wanted! All people that bring chili in a crock pot will be entered in to the contest. All contestants will receive a Pygmy Man prize. You will compete for a trophy! There will also be a 50/50 raffle to help reach our goal. $1 per ticket: 50% to winner, 50% to charity. Saturday doubles will be canceled this week due to the Craven Chains monthly. Everyone is going so come out and show some support.